Integrate your AutoCAD workflow across connected desktop, cloud, and mobile solutions. 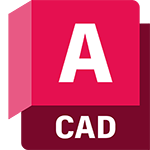 Open and edit AutoCAD designs in AutoCAD LT drafting software. View, create, edit, and share AutoCAD drawings on a mobile device or web browser via the AutoCAD 360 mobile and web app (Us site). AutoCAD 360 supports iOS and Android devices and works with any Internet-connected computer.